Police said the man quit running because he wasn’t familiar with the area and the mosquitoes were "really bad"
John Wilson was charged with fleeing from an officer, retail theft, obstructing a retail officer, and operating after revocation of his license, police said. 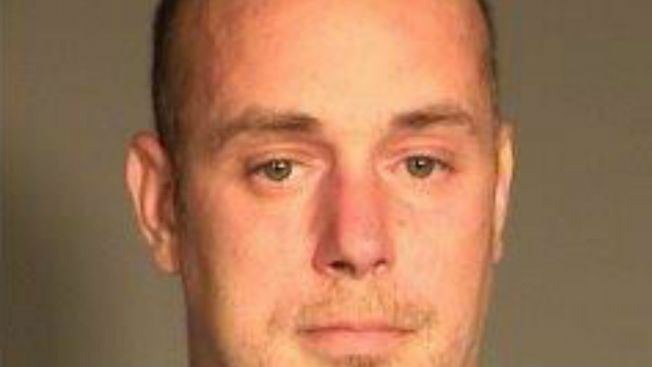 Mosquitos drove a man out of the Wisconsin cornfield he was hiding in after police say he swiped more than $500 in liquor from a Piggly Wiggly supermarket and led authorities on a three-mile car chase. A Cambellsport police officer responded to grocery store about 6 p.m. last week on Sept. 18 where he said he saw a man running out of the store with the hot hooch, getting in a car and taking off. The officer pursued the suspect for about three miles, he said, but halfway through the chase the alleged booze bandit took off on foot. Officers had a dog and a drone assisting them in their search for the man. Shortly after the search began, police received a call that man was attempting to hitchhike in the area. When police approached the man he threw his hands up and admitted "I am the guy you’re looking for," according to a police report. Police said the man quit running because he wasn’t familiar with the area and the mosquitoes were "really bad." The man even asked an arresting officer to wipe 15-20 mosquitoes off of his forehead, police said. John Wilson, 39, of Fond du Lac, Wisc., was charged with fleeing from an officer, retail theft, obstructing a retail officer, and operating after revocation of his license, police said.